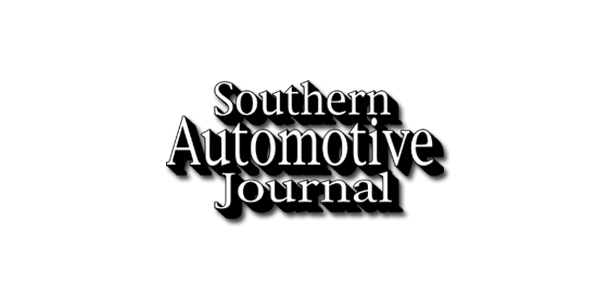 The Southern Automotive Repair Conference is an annual event that began in 2012 as a platform to showcase the collision repair industry and address issues unique to body shops. Five years later, SARC has become the premiere industry event for the Southeastern United States. The enduring purpose of SARC is to provide an annual forum for collision repair professionals in the region – where attendees can visit exhibits, receive important industry information and training, stay abreast of new vehicle technologies, learn the best methods for marketplace success, and stay focused on consumer safety. The first ever Carolina's Educational Collision Conference (CECC) will take place on May 18 & 19 at the Cabarrus Arena located at 4551 Old Airport Rd. Concord, NC. This will undoubtedly be the largest educational event for collision repair industry professionals in the Carolinas featuring classes and seminars from industry-leading speakers, along with vendors, giveaways, auctions and food all around NASCAR All-Star Race weekend. Presented by the North Carolina Association of Collision & Autobody Repair (NCACAR) and South Carolina Association of Collision & Autobody Repair (SCACAR), and sponsored by PPG, Carolina Collision Equipment and Axalta, the 2-day event is ideal for all collision repair industry professionals including owners, managers, painters, technicians, estimators, repair planners, and operations. Saturday's schedule features educational classes with John Shoemaker (BASF), Jake Rodenroth (asTech), Keith Manich (ATI) and Mike Lanza (Sherwin Williams). Saturday night is the NASCAR All-Star Race at Charlotte Motor Speedway, with special VIP All-Star Race packages available, including concert, pit passes, scanner, programs, buffet, drinks, and terrace seating. Sunday's schedule features breakfast and speakers Sarah Daniels (Board Chairman SCACAR), Brian Davies (Board Chairman NCACAR), Matt Cremonni (PPG), Larry Brolsma (Carolina Collision Equipment), David Road (Axalta) and seminar with Mike Anderson (Collision Advice). The event also includes big ticket giveaways, a pedal car silent auction (proceeds benefiting area high school body shop center) vendors, and sponsors. Special hotel accommodation available at the Country Inn & Suites by Radisson, Concord, NC and Comfort Inn & Suites Concord, NC. Visit the event website at https://carolinascollisionconference.com/ for additional information, register for the event and purchase race tickets. Both associations are united in continually improving the professionalism and business practices of collision repair industry professionals through education, initiatives and strong leadership. Providing auto body shops a voice and a forum to discuss industry related issues as well as an educational platform ensures the safe and proper repair of today's high-tech vehicles and providing competent and safe repairs for the ultimate benefit of our consumers. Is Virtual Steering The Future Of Automotive Collision Claims? The Mopar is rolling out a new multi-faceted awareness campaign designed to both inform consumers of their "Right to Request"
Original Equipment (O.E.) collision parts and to highlight the benefits of choosing Mopar products over the aftermarket for collision repairs. The initiative will include a new informational ad that details the rights of owners to ask for O.E. parts for collision repairs. Mitchell, uParts team up on IP procurement system "Mitchell Parts"
Read the rest of the story here on Collision Repair Magazine's website. 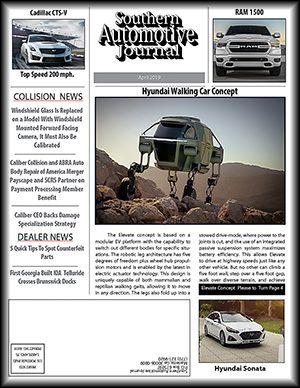 The "Take a Good Look" campaign, launched this year and discussed in this "On Target" newsletter to wholesalers and collision repairers, is meant to stress the value of original equipment manufacturer parts to customers — over perhaps what an insurer wants.